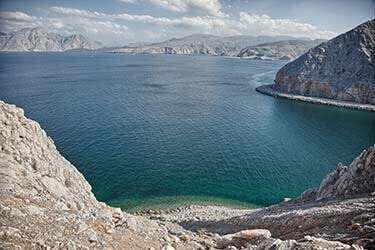 Dubbed the "Norway of the East" thanks to its vast lakes and towering mountainous landscape, Khasab is the capital of Oman's Musandam Peninsula that overlaps into the United Arab Emirates next door. 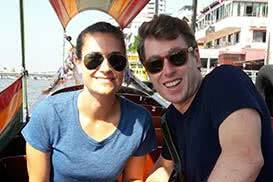 The bustling port towards the north is a hub of activity and an icon of the city, with waterside eateries and traditional tea shops overlooking all the hustle and bustle. This port area is famous throughout the Middle East thanks to its thriving privacy trade; smugglers zip along the 35 miles of water to Iran in their modified fiberglass boats packed with US cigarettes, trading them for goats before making the short journey back to the port. 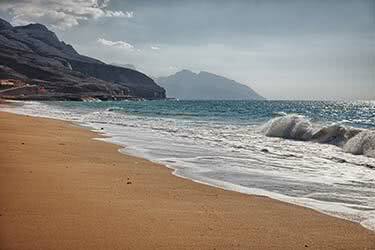 This trade has been a long tradition of Khasab, and the additional income is generally welcomed by the locals. 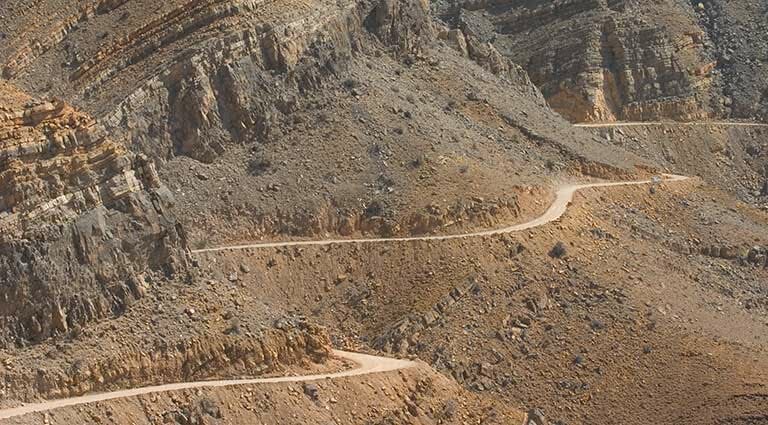 Tourist numbers are slowly creeping up too - partly thanks to a brand new highway that links up with Dubai in the East - and the old town centre has plenty in the way of attractions to keep the day trippers busy. 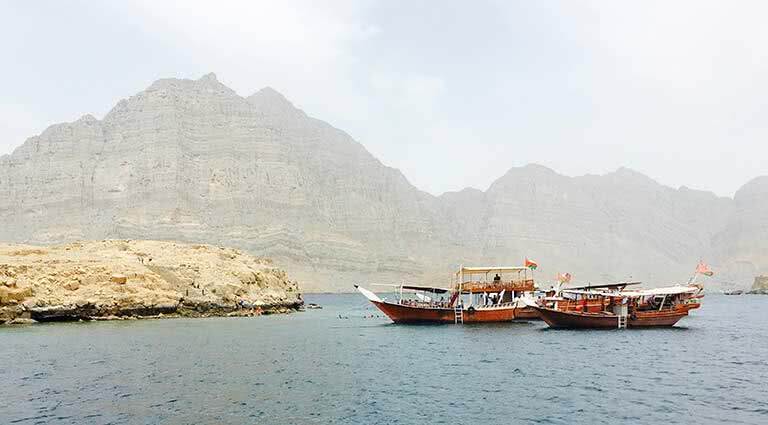 Historical souqs still stand as the main places to do some bargain hunting, and popular boat trips cruise along the picturesque rocky shoreline around the Musandam Peninsular. 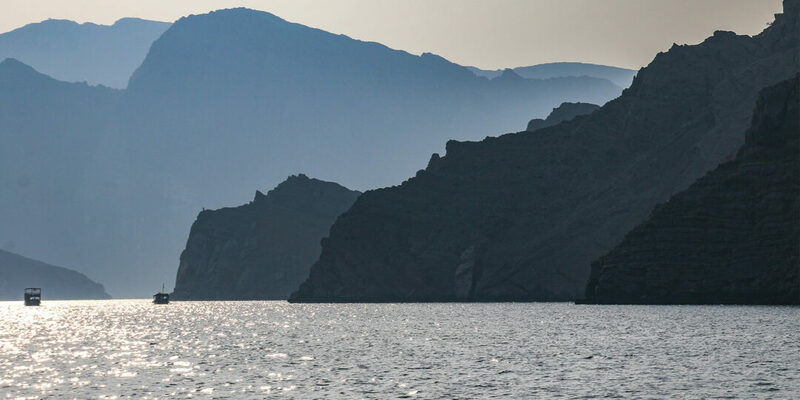 Perhaps the most popular activity for tourists here are cruises; several well-established companies run full and half day trips, making their way along the pretty coastline and around Oman’s far eastern peninsular. Most of the companies can be found advertising around the port area and depart twice daily. This 17th-century castle was built by the Portuguese, and has been home to everybody from Sultans to prisoners over the last 300 years. Recently, the impressive stone structure was given a much-needed makeover and transformed into a regional museum. The building is open to all and a ticket costs 0.50 Rials. Whether you’re coming to board a cruise, chill out at one of the waterside eateries, or just find curiosity in the city’s thriving pirate trade (whereby US cigarettes are smuggled over the water in exchange for Iranian goats), Khasab’s buzzing port is a must-visit for all. 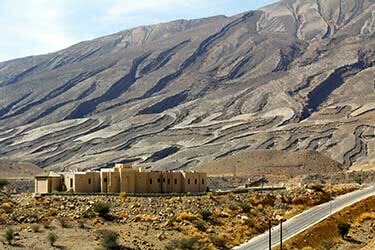 Outside the city, the surrounding Khasab landscape is quite spectacular, offering a range of sizeable mountains that can only really be tackled off-road. 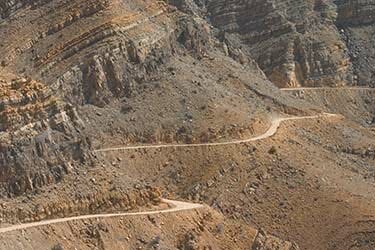 Fun 4x4 tours depart the city regularly, heading to popular spots such as the rocky Jebel Harim region that lies almost 7,000 feet above sea level. 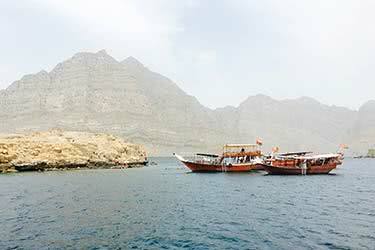 The Musandam coastline has some excellent conditions for both diving and snorkeling, with the latter being the preferred choice for tourists. 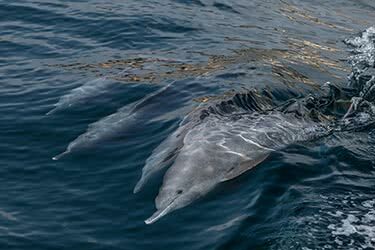 Clear and calm waters allow you to see the rich marine life below the surface; just grab a snorkel set from one of the local beachside vendors and head out either by yourself or from a departing boat. 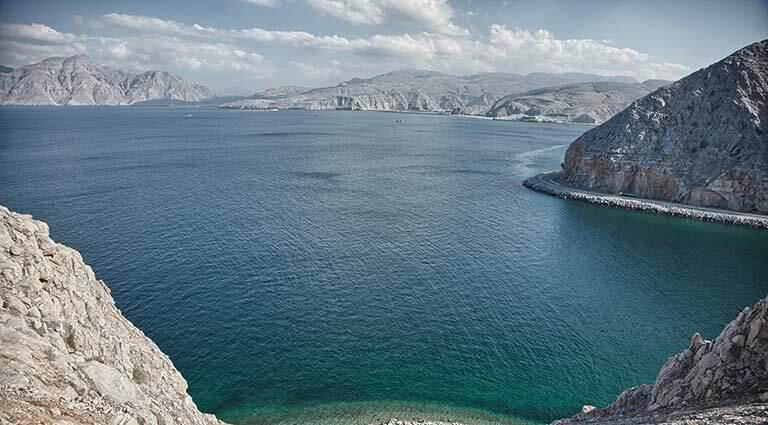 Guests can enjoy a delightful stay at Atana Musandam, a soothing hotel overlooking the sea, juxtaposed by a backdrop of the dramatic, rocky Musandam headland. 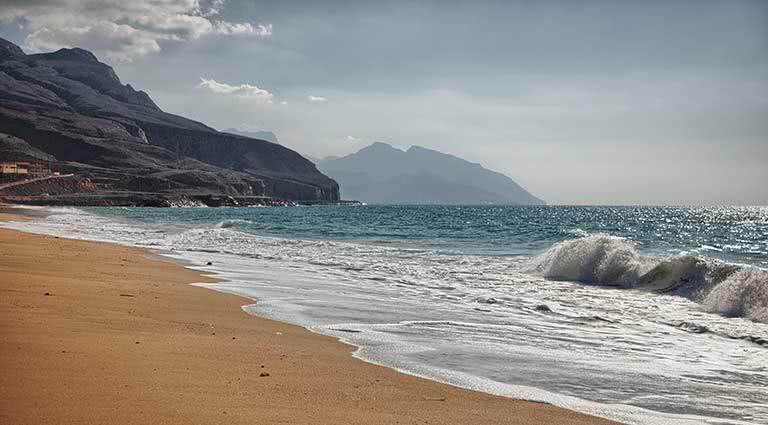 Located on the northern tip of the Musandam Peninsula near Khasab Airport, this resort is less than 28 miles from the Al Darah border and easily accessible from within Oman and Dubai. 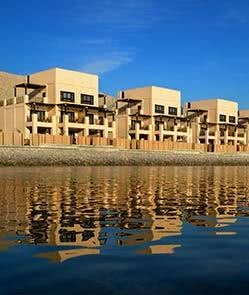 Just recently opened in July 2014, the resort boasts modern rooms and facilities, including a state-of-the-art fitness center, an outdoor pool and water sport facilities, all while displaying a traditional Omani look and feel. 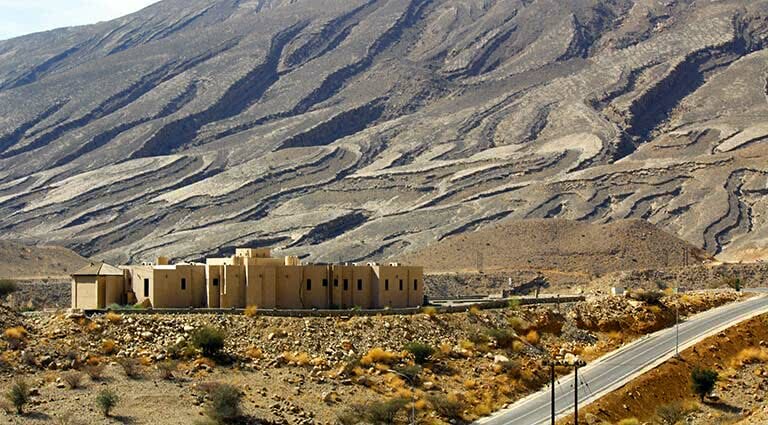 With over 100 guest rooms and suites, each with either a sea or mountain view, the hotel provides each guest with a private dining area and balcony or terrace, as well as offering delightful Omani cuisine at the on-site restaurant and snack fare at the cafe. Guests may spend their days fishing, diving, snorkeling or exploring the local area before returning to their luxurious suite to relax and rejuvenate for the next day.